Samuel Eto'o Fils, commonly known as Samuel Eto'o( born 10 March 1980) is a professional footballer from Cameroon who plays as a striker for Italian club Inter Milan and is currently captain of the Cameroon's national team. He was a part of the squad that won the 2000 Olympic tournament; he has participated in three World Cups and six African Nations Cups (being champion twice), and is the all-time leading scorer in the history of the African Nations Cup, with 18 goals. 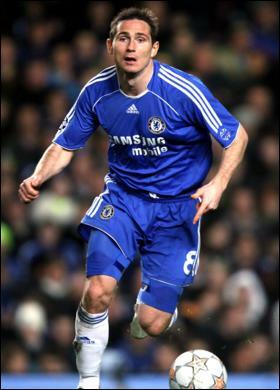 Frank James Lampard (born 20 June 1978) is an English footballer, plays as a midfielder for Chelsea and English national team. He also holds the position of vice captain of Chelsea. Lampard began his career at West Ham United, his father's former club. 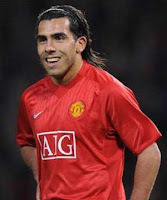 In 2001, he moved to rival London club Chelsea for £11 million. 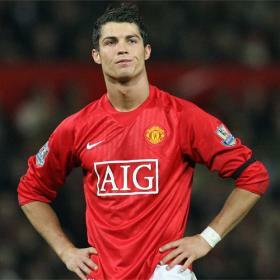 He was voted second place in 2005 FIFA World Player of the Year and the 2005 Ballon d'Or. Zlatan Ibrahimović (born 3 October 1981) is from Sweden who currently plays as a striker for FC Barcelona, Milan and the Swedish national team. 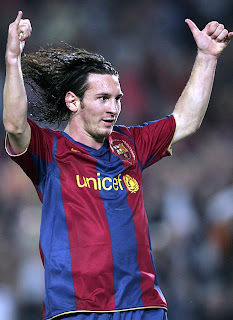 He was also named in the 2007 and 2009 UEFA Team of the Year, in addition to finishing as the league's highest scorer in 2008–09.The Swedish striker got the third-highest transfer fee when Barcelona paid $94 million to Inter Milan in July 2009, signing Ibrahimovic to a five-year contract. Ronaldo de Assis Moreira (born 21 March 1980 in Porto Alegre), commonly known as Ronaldinho is a Brazilian footballer who plays for Flamengo and the Brazilian national team. He is a free-kick specialist and has exceptional dribbling ability. 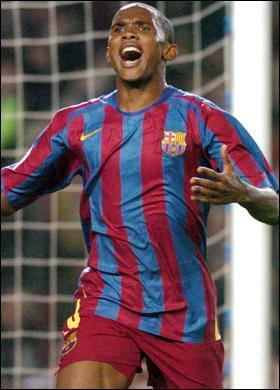 Prior to his move to Flamengo, he played for Paris Saint-Germain, FC Barcelona and Milan. 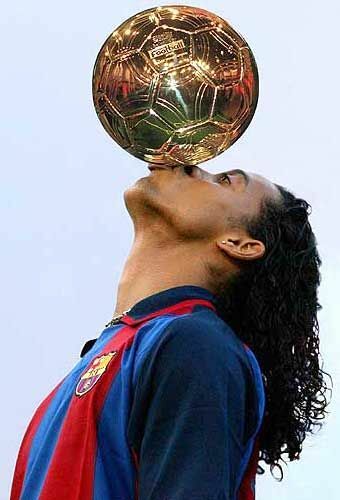 With the Spanish club, he won his first Champions League in 2006 and the Ballon d'Or in 2005. He became a Spanish citizen in January 2007. Thierry Daniel Henry (born 17 August 1977) is a French footballer who plays for the New York Red Bulls in Major League Soccer, and France National Team. He was nominated for the FIFA World Players of the Year twice, was named the PFA Players' Player of the Year twice, and the Football writer association footballer of the year three times. Henry spent his final two seasons with Arsenal as club captain, leading them to the UEFA Champions League final in 2006. 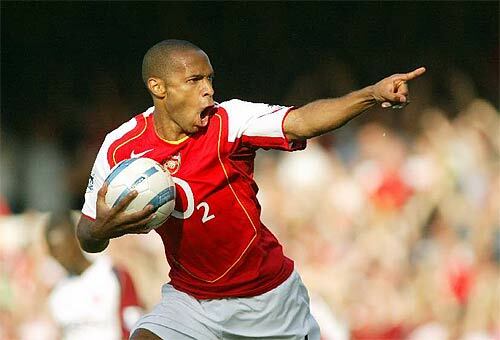 In June 2007, after eight years with Arsenal, he transferred to Barcelona for a fee of €24 million.In July 2010, Henry signed a multi-year contract with Major League Soccer (MLS) club New York Red Bulls, as its second designated player. Ricardo Izecson dos Santos Leite ( born 22 April 1982), commonly known as Kaká, is a Brazilian midfielder who currently plays for Spanish La Liga club Real Madrid and the Brazilian national team. He also holds an Italian passport, which enables him to play as an EU player. It was not until he moved on to São Paulo FC and signed his first professional contract with the club at the age of fifteen that he chose to focus on football. In 2003 he joined A.C. Milan for a fee of €8.5 million. While at Milan, Kaká won the Ballon d'Or and FIFA World Player of the Year awards in 2007. After his success with Milan, Kaká joined Real Madrid for a world record fee of $89 million, smashing the previous record of Zidane, $75 million. Cristiano Ronaldo dos Santos Aveiro, (born 5 February 1985),commonly known as Cristiano Ronaldo, a Portuguese footballer who plays as a forward for Spanish La Liga club Real Madrid and serves as captain of the Portuguese national team. Ronaldo is the most expensive player in football history after moving from Manchester United to Real Madrid in a transfer deal worth US$132m. In addition, his contract with Real Madrid, in which he is to be paid £11 million per year over the following six years, makes him the highest-paid football player in the world. Ronaldo holds the distinction of being the first player to win the FIFA Puskás Award, an honour handed by FIFA to the best goal of the year. David Robert Joseph Beckham, (born 2 May 1975) is an English footballer who plays midfield for Los Angeles Galaxy in Major League Soccer. He previously played for Manchester United, Preston North End, Real Madrid, and Milan, as well as the England national team. Beckham's career began in 1992 aged 17 when he joined Manchester United. During his time there, United won the Premier League title six times, the FA Cup twice, and the UEFA Champions League in 1999. He left Manchester United to sign for Real Madrid in 2003, where he remained for four seasons,clinching the La Liga championship in his final season with the club. In January 2007, it was announced that Beckham would leave Real Madrid for the Major League Soccer club Los Angeles Galaxy, signing a five-year contract with them on 1 July 2007. While a Galaxy player, he spent two loan spells in Italy with Milan in 2009 and 2010. Major Sponsors: Adidas, Pepsi-Cola, Gillette, Gatorade, Konami, Air Europa, Telefonica/Movistar, SportCenter/ESPN, Damm, Danone, Lody For Men, Storkman, Repsol YPF, SanDisk and Mirage/Seiko. Lionel Andrés Messi (born 24 June 1987) represents Argentina who currently plays as a forward for FC Barcelona and the Argentina's national team . He is considered amongst the best footballers of his generation. He recieved Ballon d'Or twice (2009,2010) and also FIFA World Player of the Year.Kobe Bryant of the LA Lakers counts himself a fan. He has an autographed picture of Messi in his locker.